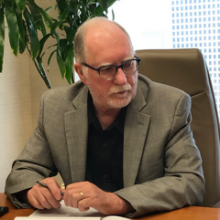 Unbundling has been a tool to better deliver legal services since the 1990s, when California family law practitioner Forrest “Woody” Mosten coined the term and became its alpha advocate. Woody brought this model to both the American Bar Association Standing Committee on the Delivery of Legal Services (Delivery Committee) as a committee member and IAALS as an advisor. Since then, both IAALS and the Delivery Committee have conducted research on aspects of unbundling; advanced the conversation within the legal services ecosystem through publications, conference panels, and a resource center; and developed recommendations and policies that enable lawyers to provide affordable legal services to those of low and moderate incomes through this model. In early 2017, IAALS and the Delivery Committee began a collaboration to host a conference on this issue to occur later that same year—a conference that could take unbundling to the next level. Their joint conference, Better Access through Unbundling: From Ideation to Implementation, was designed to bring together bar leaders, practitioners, judges, court personnel, technologists, librarians, legal educators, legal aid lawyers, and access advocates from all of these stakeholders around the United States and Canada. Their purpose was to share developments on research, policies, outreach models, and technologies, and then to brainstorm new paths for greater implementation of unbundled legal services, and consequently increase access to affordable services for those of low and moderate incomes. Together, we created a coordinating committee of experts to oversee the planning, shared staffing obligations, and ultimately brought together nearly 100 people in October 2017 at the University of Denver to share their thoughts and insights from the panoply of perspectives. The front end of the conference was dedicated to sharing information. Natalie Knowlton, from IAALS, and Sara Smith, from the ABA, shared recent research on the consumer’s perspective, demonstrating the need for affordable services for pro se litigants, and the lawyer’s perspective, where we saw that unbundling is a mile wide and an inch deep, with about 300,000 lawyers providing unbundled services, but the vast majority doing so in less than 20 percent of their cases. We heard about the status of state-based policies that enable lawyers to provide unbundled services in compliance with ethics and procedural rules, and the need for more changes in this arena. Those from states providing innovative outreach, such as Colorado, reported on their best practice models. A particularly impactful panel showcased practitioners who are unbundling their services in various methods and for various client demographics. During the second part of the conference, attendees were asked to find their communities and break up into groups based on whether their states and provinces were crawling, walking, or running—our way of describing jurisdictions who are either just wading into the unbundling waters or who have been doing so for a longer time. The task of each group was to share ideas that could become the core of statewide strategic plans to enhance the implementation of unbundled services. In this respect, our effort was to make this a living conference—something that would continue to provide direction and influence change well after its conclusion. Thanks to an excellent conference report by Natalie Knowlton, the results of these discussions are detailed with specific directions and recommendations to make unbundling an even more significant way to advance affordable access to legal services. While it is essential for institutions such as the IAALS and the ABA to continue their support for this delivery model, now is the time for state and provincial jurisdictions to bring their stakeholders together, solidify their strategic plans, and dedicate their resources to the advancement of unbundling. We need to recognize that unbundling is the only delivery mechanism that benefits lawyers, through a model of full compensation, benefits consumers by providing a level of service that is gauged to meet their needs at an affordable price, and benefits the courts by having prepared and knowledgeable litigants who would otherwise be pro se and unfamiliar with the judicial process. In short, unbundled legal services is a win-win-win model for improving access to affordable legal services.